Cambridge English tests are taken by over 5 million candidates around the world each year and are recognised by over 20,000 education institutions, employers and government agencies worldwide. Cambridge English tests are designed to assess how learners use English to communicate in real-life situations. Each year, approximately 2.5 million people take the International English Language Testing System (IELTS) test. IELTS is recognised by more than 9,000 organisations globally for work, study and migration purposes. IELTS is a paper based, examiner marked test. The Occupational English Test (OET) is an English language test for healthcare professionals, with test material reflecting real healthcare scenarios. OET is recognised by the DIBP, healthcare boards and councils, and universities in Australia, New Zealand and Singapore. OET is a paper based, assessor marked test. PTE Academic is the world's leading computer-based test of English for study abroad and immigration. PTE Academic is accepted by thousands of academic programs worldwide, and is approved for Australian visa applications. PTE Academic is a computer based, computer marked test. TOEFL iBT® is a computer based test, with combined computer and assessor marking. Established in 2010, the Navitas English Test Centre (NETC) works in partnerships with major testing organisations to administer and deliver a range of internationally recognised examinations at our test centres in Sydney, Melbourne, Brisbane, Perth and Darwin. We also offer tests in Adelaide in conjunction with Eynesbury, a Navitas college. In 2015 NETC delivered tests to over 38,000 candidates. 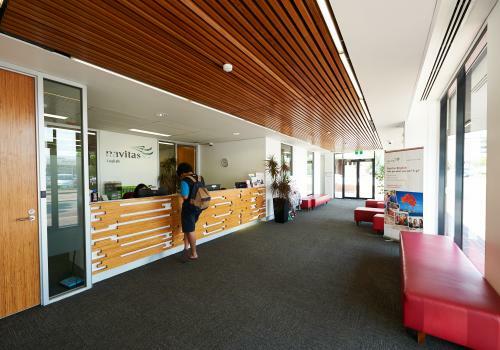 Navitas English Test Centre partners include IDP-IELTS Australia, Cambridge English Language Assessment, Cambridge Boxhill Language Assessment and Pearson VUE.